Last night we had a great family outing. We spent the evening at the Fort Worth Botanical Gardens. We had a lovely picnic dinner on the lawn and then listened to the Fort Worth Symphony Orchestra delight us with their musical talents, led by conductor Andres Franco. The performance featured favorite music from Harry Potter, Star Trek, and most importantly, Star Wars. There were even Star Wars characters roaming the garden for photo shoots. 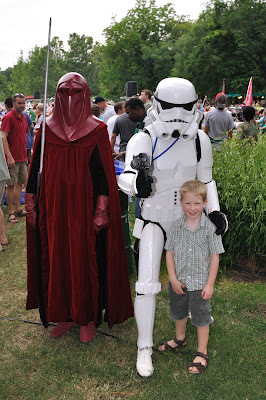 Nicholas was excited to get his picture with a Stormtrooper and an Imperial Guard from Star Wars! I seriously don't know how these people could stand to be in these costumes. It was very very warm and incredibly humid and there they were in full costume! Ugh. 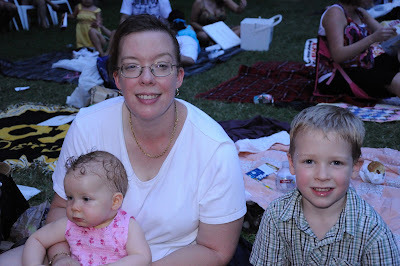 We were resting on our picnic blanket but you can see that even little Rachel's hair is drenched with sweat! There were squillions of people there to see the performance. We had a great spot even though we were in the "back 40"! 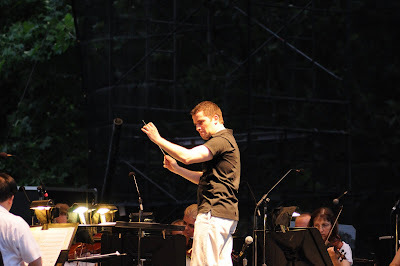 Stuart walked Nicholas up to the stage so he could watch the orchestra up close. 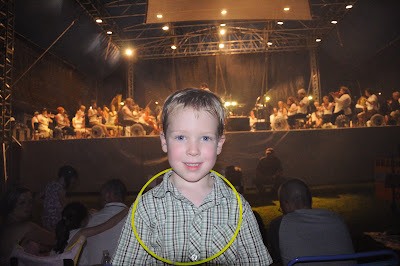 He loved having his glow stick necklace that a new friend had given to him at the show. 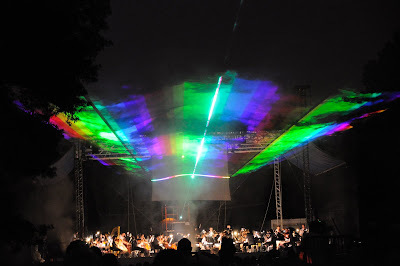 There was fantastic music choreographed to a brilliant laser light show and fireworks! 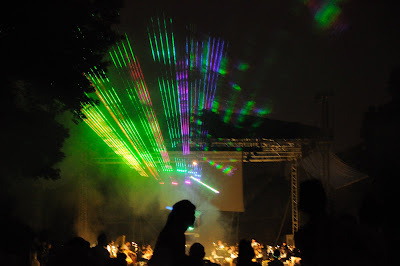 The laser show for the Star Wars piece was most impressive. It was complete with laser formed characters, spaceships, and fully animated scenes from the movie. For the finale, the orchestra wrapped up the Star Wars set with fireworks overhead. It was really awesome! 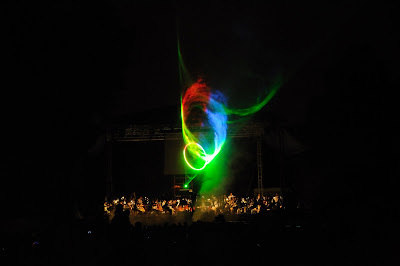 We always love going to the Fort Worth Botanic Gardens but this was a new exciting way to experience the gardens. 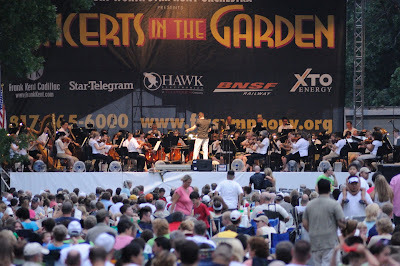 There are more Concerts in the Garden throughout the summer so check out the Fort Worth Botanic Gardens website for concert information.